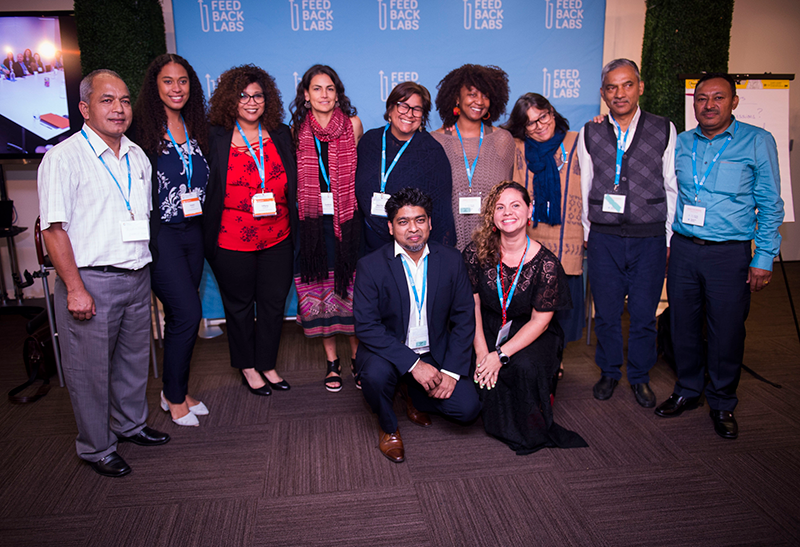 Feedback Summit 2018 opened Day 2 with a plenary conversation that exemplified the spirit of this year’s convening, especially around the use of feedback to pave the way for equity and dignity for people. Lara Powers of Polaris and Jessica Centeno of CEO highlighted what we have accomplished so far, and what is next for the future of feedback. By lunch time, we were primed to continue the conversation on what the future of feedback looks like, this time by examining the future of listening by governments. Commissioner Dave Wilkinson of the Connecticut Office of Early Childhood, in conversation with Benilda Samuels and David Devlin-Foltz, spoke on the kinds of change that will take listening to constituents to scale. The Summit wrapped up with Melissa Malzkuhn of Gallaudet University and Mandela Hyacinthe of Spark Microgrants examining the role that trust plays in giving, and acting on, feedback, and the role that people themselves must play in collaborative sensemaking. People often have good reason to be anxious of feedback processes, and therefore cultural sensitivity plays a critical role in making feedback the expected thing. But the conversation wasn’t over. The feedback community saw the end of this convening as the beginning of commitments for the year to come. Among these commitments, Bryan Simmons will be writing a piece for the Chronicle of Philanthropy on feedback as two-way communication that enables us to lean into empathy. Rapid Results Institute and Memria will collaborate to collect feedback stories. And GlobalGiving will continue to expand the opportunities for the inaugural class of Feedback Fellows. Thank you to all who participated in this year’s Summit! We at Feedback Labs leave energized and excited to continue building this movement with you. Look out for more information on how to stay involved with the Labs between now and next year’s gathering. We want to hear from you! What were some of your key take-aways from the Summit?